The Great Frog is a name that is synonymous with Rock music, so it’s great to see a band getting involved in the jewellery itself beyond dripping their knuckles in it. 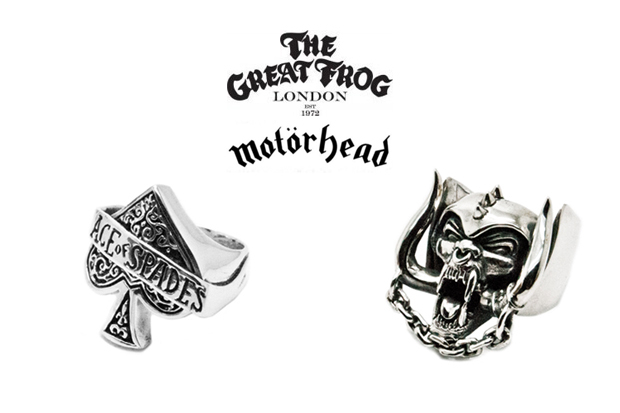 Taking two of the most symbolic parts of Motörhead; the warpig logo and ace of spades, and turning them into solid silver rings, The Great Frog have given the band members and their fans a great way to represent the band. 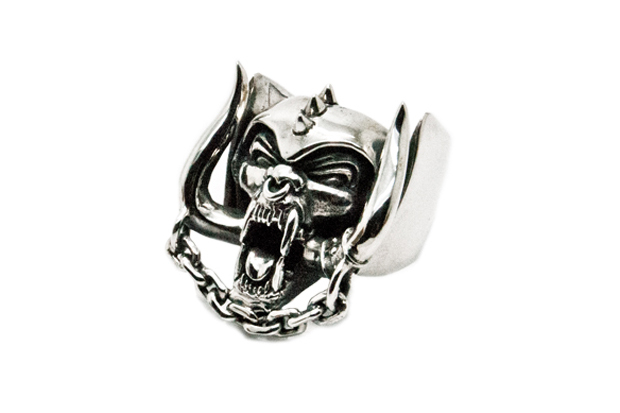 All the pleasantries aside, these rings are dope, wether you are a fan of Motörhead or not, these are badass. 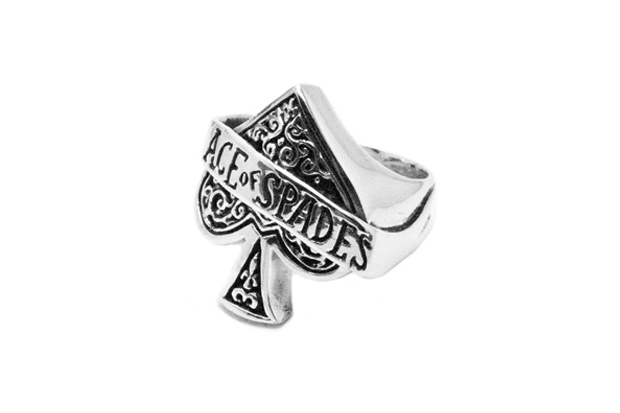 The ace of spades silhouette is nothing new to The Great Frog, but this new intricate design is a step above anything they’ve done with it in the past. As for the warpig ring, well it speaks for itself really … awesome. Check a video of the warpig ring in 360 at the bottom of this post. In the mean time, head over to The Great Frog where you can pre-order the rings, but be quick as these are limited edition. Each ring will be given it’s own personal number engraved in the back, with numbers 1-5 of each ring going to the band and management.